Poppy Victoria Cross Seeds. 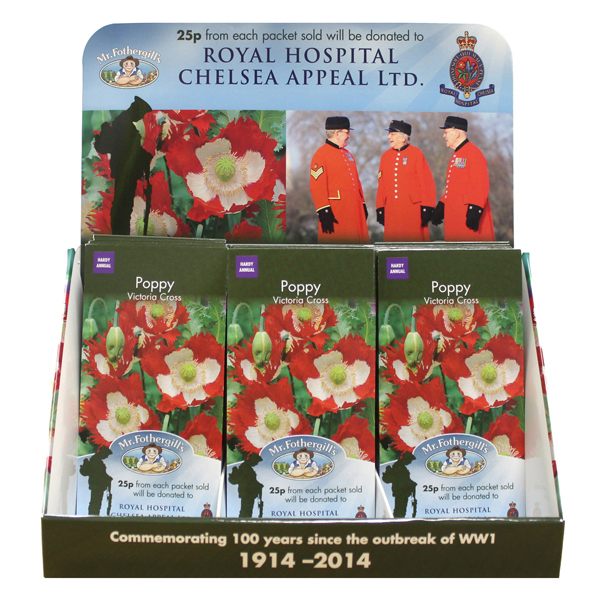 Supporting Royal Hospital Chelsea. The world-famous Royal Hospital Chelsea is set to benefit from the sale of seed of an attractive poppy called Victoria Cross. 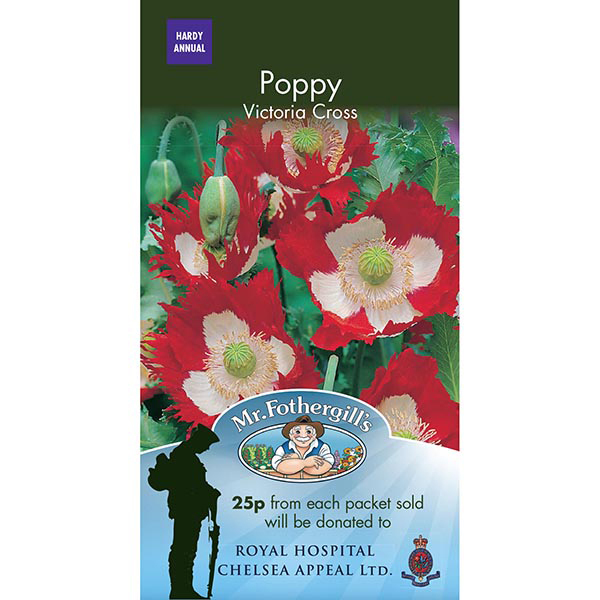 Mr Fothergill's has pledged 25p to the Royal Hospital's charity from every packet of 250 seeds priced at £2.10. Poppy Victoria Cross, already a popular variety with Britain's gardeners, is remarkable for the bold white 'cross' it bears across its single red flowers, which are borne through the summer. Easy to grow and quick to flower from a spring sowing, this form of Papaver somniferum is ideal for informal borders and cottage garden settings. Its distinctive 'pepper-pot' seedheads are also useful in dried arrangements when flowering ends. 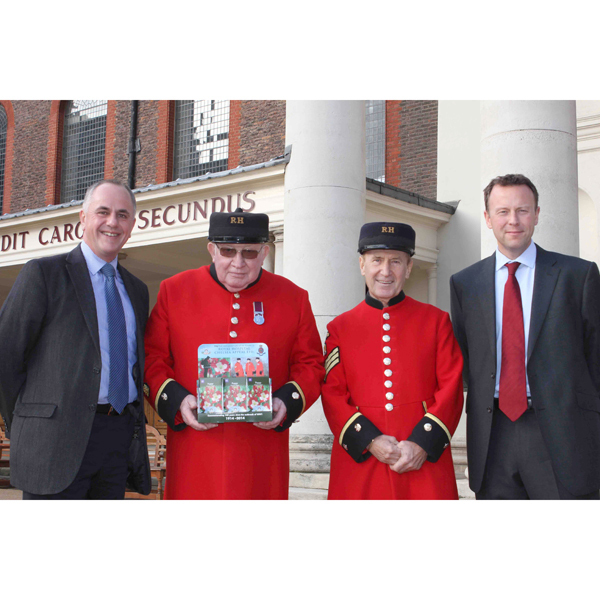 Mr Fothergill's joint managing director David Carey said he was proud his company was to recognise and aid the support and care the Royal Hospital Chelsea offers to today's military veterans. "The imminent centenary of the start of World War One brings into focus the debt we continue to owe to those who defend us", said David. The Royal Hospital's fundraising manager Kate Marsh explained "The Royal Hospital, and the famous scarlet-coated Chelsea Pensioners who live within it, stand as the very embodiment of the military covenant made between the nation and those who serve in its army so selflessly, willing if necessary to make the ultimate sacrifice. Donations from the sale of Mr Fothergill’s Victoria Cross Poppy will enable us to improve the facilities and living conditions of the Chelsea Pensioners as well as helping us to secure a future for those young soldiers serving in the British Army today".